Nick Chiles is one of the nation’s foremost chroniclers of African-American life, culture and celebrity—both as a bestselling author and an award-winning journalist. He has co-authored several New York Times best sellers with icons like Bobby Brown, Rev. Al Sharpton and Kirk Franklin. As a journalist, Nick has won over a dozen major journalism awards, including a 1992 Pulitzer Prize as part of a New York Newsday team. [spp-timestamp time="05:30"] What are some of your hidden talents beyond writing? [spp-timestamp time="09:29"] If you could do it all over again, would you have taken a different academic path or are you satisfied with the route you followed? [spp-timestamp time="11:08"] Take us back with you for a moment to a time when you really failed at something you were working on and it was a complete mess. Tell us how you handle that experience and the lessons learned? [spp-timestamp time="15:53"] What are the biggest gaps between what authors should be doing and what they are actually doing? [spp-timestamp time="19:43"] Beyond the accolades and awards, how else has your career created value in your life? [spp-timestamp time="23:51"] You've got kids much older than my own and I'm curious to hear your thoughts and feedback on raising black children today? [spp-timestamp time="31:01"] Share a couple great reads that have truly inspired you? [spp-timestamp time="35:19"] Share one action our aspiring Trailblazers should take this week to blaze their trail? Over the course of his 30-year career, Nick Chiles has distinguished himself as one of the nation’s foremost chroniclers of African-American life, culture and celebrity—both as a bestselling author and an award-winning journalist. Chiles is the co-author with Bobby Brown of the New York Times bestseller, Every Little Step: My Story, published in June 2016 by Dey Street Books/HarperCollins. Chiles is the co-author of the 2014 book Justice While Black: Helping African-American Families Navigate and Survive the Criminal Justice System. Written with attorney Robbin Shipp, the book was an NAACP Image Awards finalist in 2015. Chiles is the co-author with Rev. Al Sharpton of the New York Times bestseller, The Rejected Stone: Al Sharpton and the Path to American Leadership, which was released in October 2013 to lavish praise. He is the co-author with Kirk Franklin of the New York Times bestseller, The Blueprint: A Plan for Living Above Life’s Storms (2010). He is the co-author of Fatherhood: Rising to the Ultimate Challenge with retired NBA center Etan Thomas, who was a member of President Obama’s Fatherhood Initiative. Released in May 2012, Fatherhood was called “memorable and eloquent” by Publisher’s Weekly. Chiles was a co-writer with Massachusetts Gov. Deval Patrick of his 2012 book, Faith in the Dream. He has also worked as a celebrity ghostwriter. 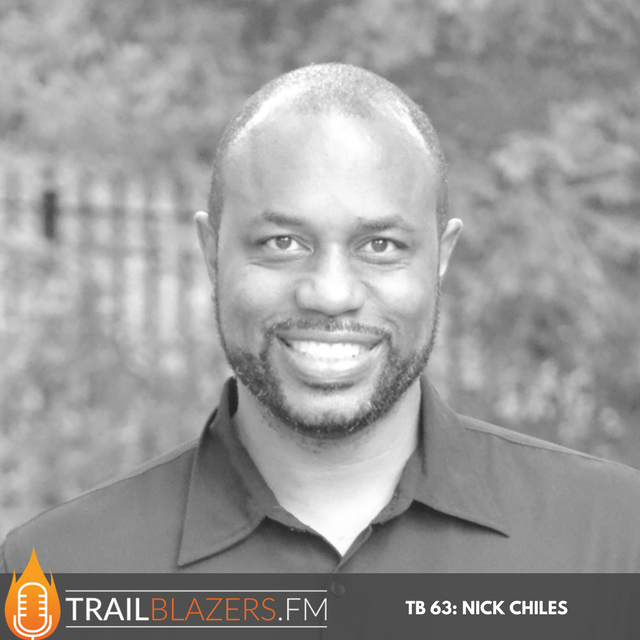 Chiles has written six books with his wife, Denene Millner (who is the two-time #1 New York Times bestselling co-author with Steve Harvey of the books Act Like a Lady, Think Like a Man and Straight Talk, No Chaser). Their non-fiction relationship series, What Brothers Think, What Sistahs Know, published by HarperCollins, was a fixture on the Essence bestseller list over several years. Their novel Love Don’t Live Here Anymore (Dutton) was an Essence and Blackboard bestseller. A Love Story was a finalist for the 2004 Open Book Award for best contemporary African-American fiction. As a fiction writer, Chiles published a short story in the anthology, Brotherman: The Odyssey of Black Men in America (Ballantine), which won a 1996 American Book Award. Chiles also co-wrote an adventure/fantasy YA (young adult) novel called The Adventures of De-Ante Johnson: The Obsidian Knight with Jeff Jones. It is intended as a Harry Potter-type tale geared toward urban youth. As a journalist, Chiles spent the bulk of his career as an education reporter, but he also covered politics, health and social services. He has won over a dozen major journalism awards, including a 1992 Pulitzer Prize as part of a New York Newsday team covering a fatal subway crash. He also won the 1993 and 1989 National Education Reporting Award presented by the Education Writers Association. While he was on the staff of The Star-Ledger of New Jersey, Chiles was the recipient of three consecutive New Jersey Press Association awards as the top education reporter in the state in 1996, 1997 and 1998. He won the 2016 Green Eyeshade Award, from Society of Professional Journalists, for best feature story from a non-daily. He won 2014 National Association of Black Journalists awards for Best Magazine Feature in Sports for a story on Brian Banks and in Specialty writing for a series on saving black boys. From 2003 to 2009, Chiles was Editor-in-Chief of Odyssey Couleur, a national multicultural travel magazine geared toward upper-income African Americans. During his years with the magazine, Chiles served as Art Director for numerous cover stories and photo and video shoots in locales ranging from Colombia to the Caribbean, the Florida Everglades to New York City. He also served as Editor-in-Chief of the website AtlantaBlackstar.com, a news site focused on the African diaspora across the globe. Chiles is a 1986 graduate of Yale University. He currently resides in Atlanta with his wife Denene and two teenage daughters. His son, a graduate of Lafayette College in Pennsylvania, is an engineer in Houston.